Frank's compact, all-mode operating position. 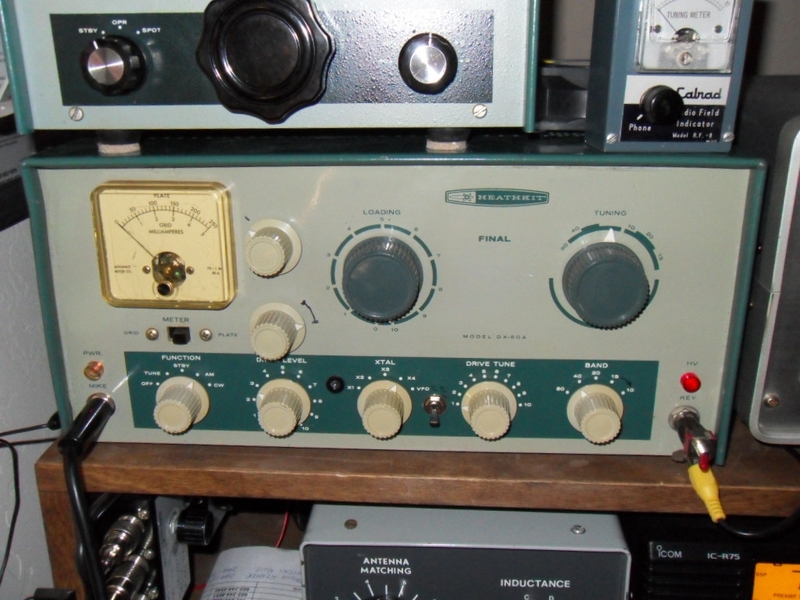 The vintage AM transmitters feature his well-known, twin-6146 Heathkit DX-60 (with HT-10 VFO), a venerable Hallicrafters HT-40 and a Knight T-60. 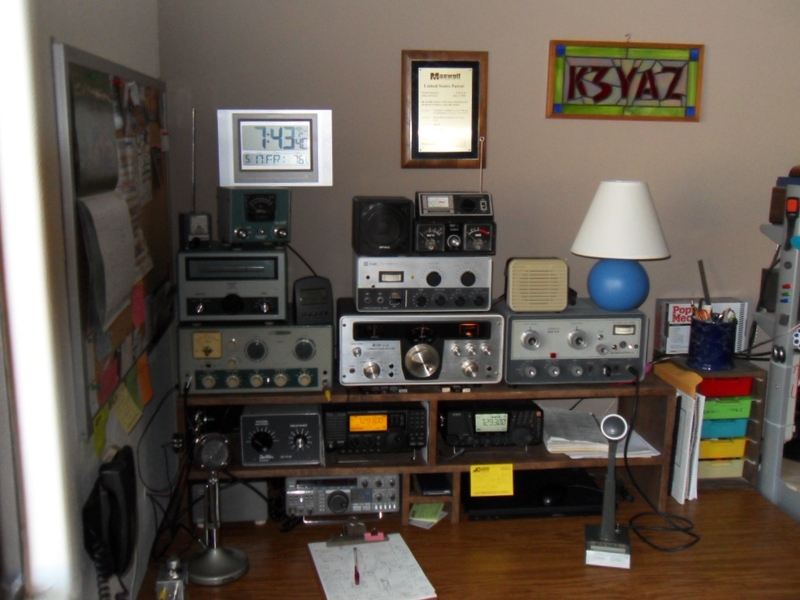 These are paired with 3 receivers, an Allied AX-190 (center), an Icom R-75 and an Alinco DXR-8. A Kenwood TS-430 at the bottom provides SSB capability. The almost-stock exterior of the hotrod DX-60 belies the extensive modifications that have turned this transmitter into a very substantial AM rig. It now contains TWO 6146's in the final and is capable of both controlled-carrier and conventional screen modulation. The details of these modifications are shown below. Oh, and it sounds great on the air with effortless, extended-range audio. 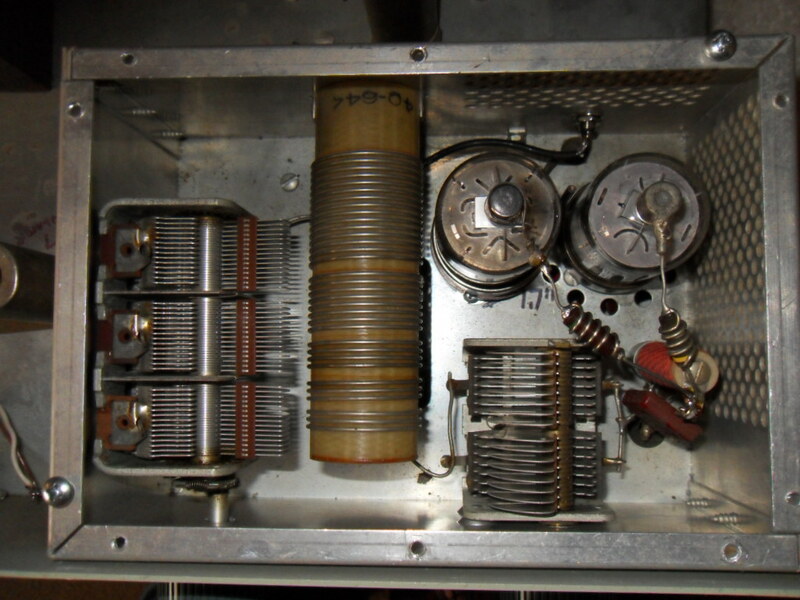 The inside view of the DX-60 final amplifier compartment showing the snug, but adequate,spacing of the two 6146's. The stock plate-tank components were able to cope with the higher power level. 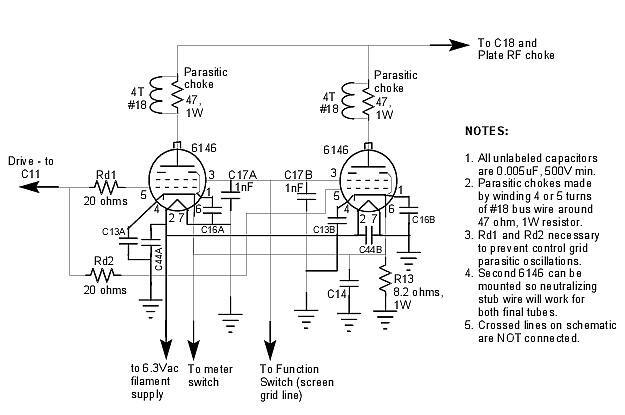 Click on the diagram at right, or HERE, for a PDF file descrbing this modification and those to the power supply in increase its output to 750 volts. Additional modifications were done to the audio section to enhance its operation and the allow independent setting of the AM carrier level.